This glaze will take your baked goods and give them a nice warm hug. The nuttiness that comes out when you brown butter is really apparent when you use it for something simple like this glaze. It makes it feel so much warmer and it is really simple! It was a perfect finish to this brown sugar nectarine sheet cake. 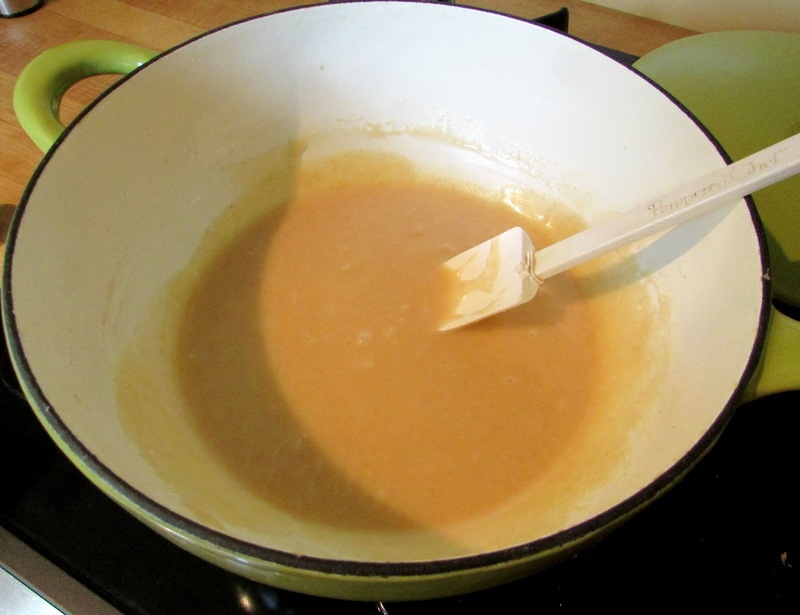 It just takes about 10 minutes to get the butter to a nice golden-brown color. Then you stir in powdered sugar, vanilla and enough milk to get your desired consistency. It really is that easy. This is a perfect glaze for oatmeal cookies. MiMi made something similar for a get together we had a few years ago. She brought a few dozen cookies to a get together with probably 15 people in attendance. She didn't leave with any. People could not help themselves. The cookies were good, but the glaze put them over the top! In thick bottomed sauce pan over medium heat, melt butter. 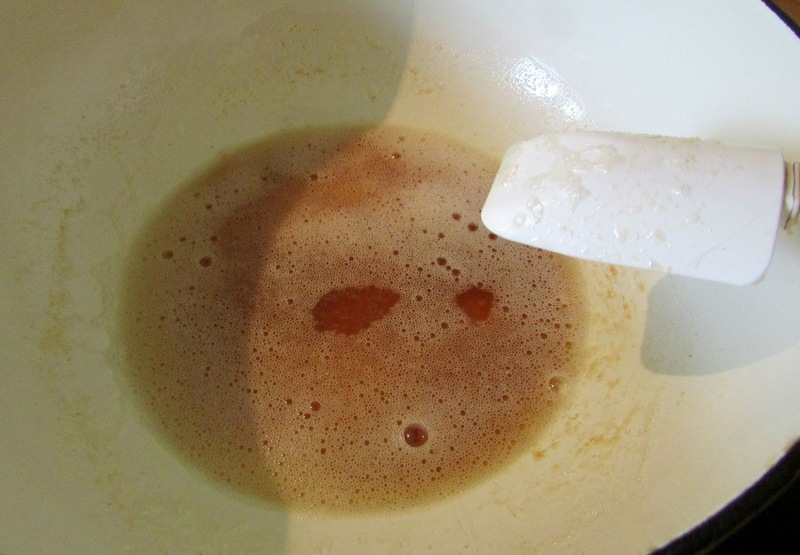 Continue to cook, stirring occasionally for about 10 minutes or until golden brown. Stir in powdered sugar, vanilla and 2 T of milk. Continue to add milk until you reach your desired consistency. It is amazing! I can't wait to share the cake I put it on tomorrow too! Tell me about it, I'm not helping my own either! My poor jeans! 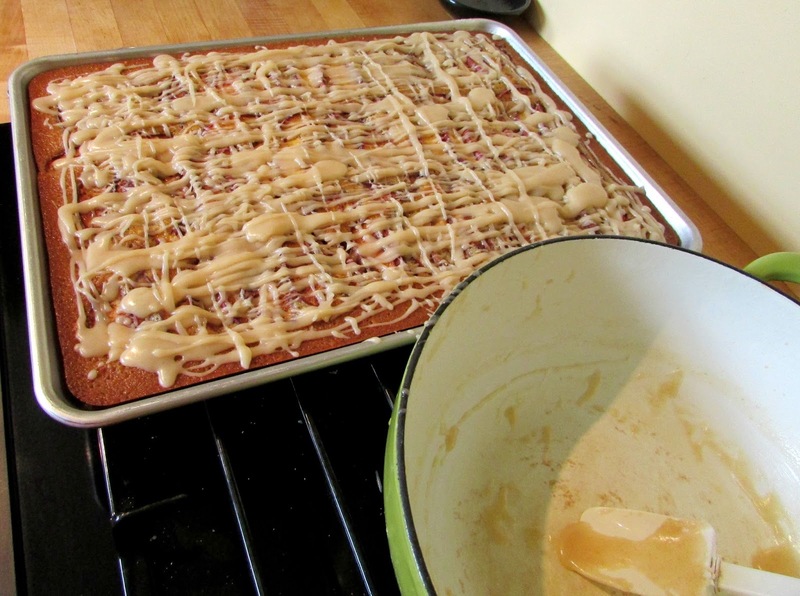 Brown butter glaze seems like it would be good on just about anything! Yum! I think so too, especially this time of year! This glaze sounds so good and it's a great time of the year for it. Thanks for sharing at the #AnythingGoes Link Party. I think so too, it just adds that little extra warmth to whatever you put it on! Thanks for stopping by! Thank you so much for a lovely way to share! This looks amazing!! Thank you so much for linking up at Tasty Tuesday! This post has been pinned on the Tasty Tuesday Pinterest board! I love having you and can't wait to see you next week!